ARC Aerial Imaging’s Matrice 210 sUAS with X4S (left) and Z30 (right) sensors. Introducing the latest addition to our inventory of professional drone is the DJI Matrice 210 which is specifically designed for inspection purposes within sensitive operating environments whilst utilising the best imaging and sensing technology that’s currently available. With multiple flight safety redundancies onboard this platform and coupled with both the 4K video/20MP stills X4S and Zenmuse Z30 sensors via a duel gimbal it is a highly capable aerial imaging system. Furthermore and with with the added ability to mount the Z30 sensor to the drone’s upper body via an upward gimbal, it allows ARC Aerial Imaging’s highly experienced sUAS operator the ability to also position, inspect and document the underneath of challenging structural subjects. As the first integrated aerial camera with an optical zoom up to 30x and digital up to 6x, the Zenmuse Z30 offers unparalleled image data capture. ARC Aerial Imaging are now able to capture the information they require from a greater range, making image data collection significantly faster and eliminates risk of harm to both personnel and equipment. Designed to seamlessly integrate with DJI’s Matrice series of platforms, the Zenmuse Z30 works right out of the box and gives access to the intelligent features DJI is known for. The Zenmuse X4S is a powerful camera featuring a 20 megapixel 1-inch sensor and a maximum ISO of 12,800 and uses a DJI-designed compact lens with low dispersion and low distortion 24mm equivalent prime lens. This 84° FOV, high resolution lens makes the Zenmuse X4S as powerful during aerial imaging. 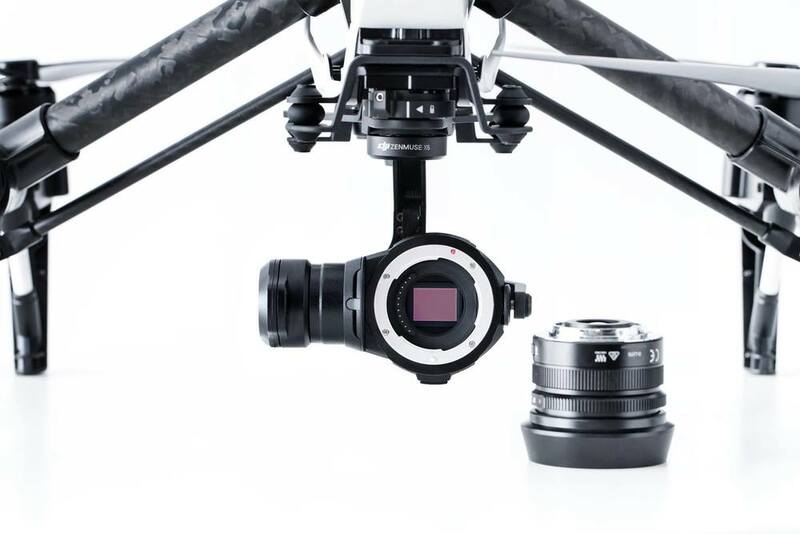 ARC Aerial Imaging utilises the DJI Zenmuse X5 camera system, marking the next evolution of aerial camera technology. The Zenmuse X5 is designed to work seamlessly with our reliable DJI Inspire 1, in so that it's ready to fly and capture professional-level imaging in a matter of moments. The large Micro Four Thirds sensor in the Zenmuse X5 Series camera captures incredibly detailed 16MP imaging and UHD (4K) video. The Zenmuse X5 uses an M4/3 mount that lets you easily change lenses. Using the DJI GO app, a live HD view and control aperture and focus are possible. ARC Aerial Imaging has the availability of the Olympus M.Zuiko Digital 45mm 1:1.8 lens for the DJI Zenmuse X5. Having the 45mm included in its lens inventory has enhanced its UAV aerial imaging outputs by several key factors. We are able to produce "closer in" imaging during key building and structural asset inspections through the use of our this lens when operating at similar stand offs from subjects that were previously undertaken and imaged with a 15mm lens. Having also available a 35mm-100mm telephoto lens has significantly enhanced our drone aerial imaging service outputs to our clients in many practical ways. 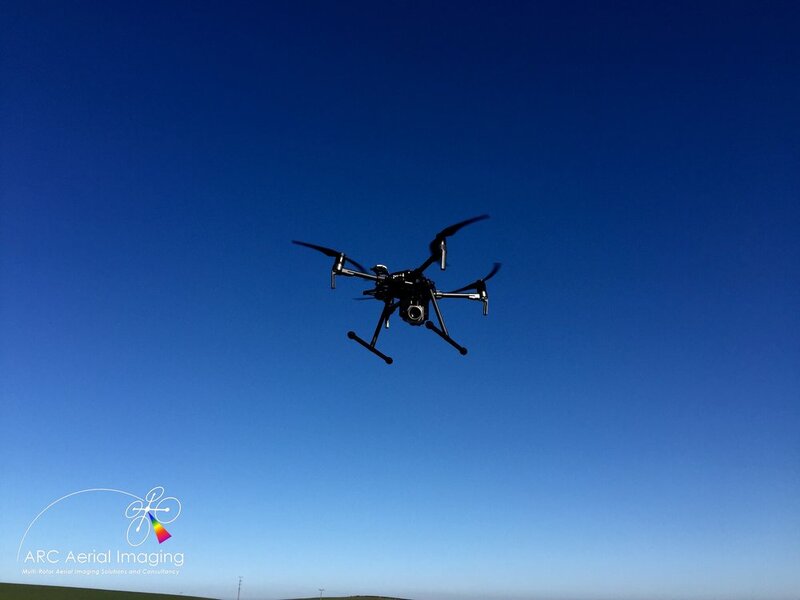 This lens enables us to have a greater ability to provide enhanced drone aerial imaging resolutions for our client's initial key infrastructure and critical sub-component inspection assessments. 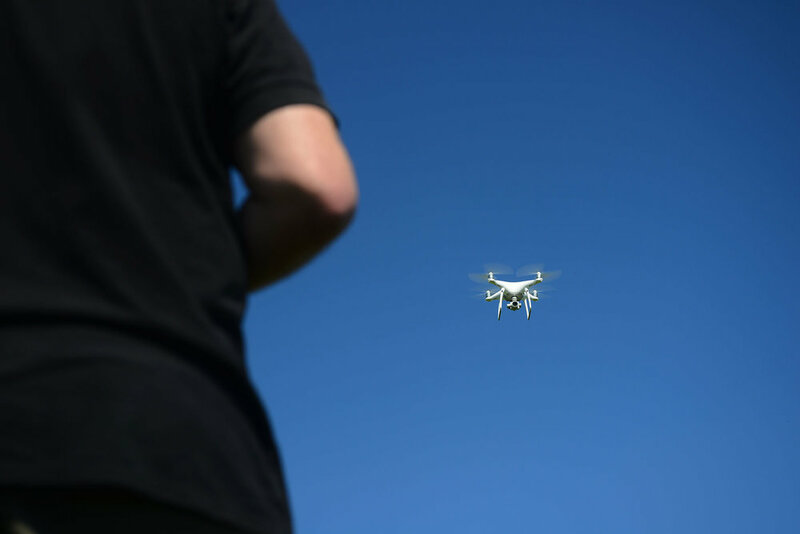 This can be applied if our drone is required to operate away from restrictive environments or at greater drone operating safety distances at offsets from subjects that are of a sensitive nature or live operating apparatus but still achieving valuable aerial imaging information at highly interpretable detail. With an uprated camera equipped with a 1-inch 20-megapixel sensor, the Phantom 4 Pro is capable of shooting 4K/60fps video and Burst Mode stills at 14 fps. The adoption of titanium alloy and magnesium alloy construction increases the rigidity of the airframe and reduces weight, making the Phantom 4 Pro similar in weight to the Phantom 4. The Flight Autonomy system adds dual rear vision sensors and infrared sensing systems for a total of 5-direction of obstacle sensing and 4-direction of obstacle avoidance. With a maximum horizontal flight speed of 15m/s, a vertical speed of 6m/s, the Phantom 4 Pro has the perfect combination of robustness and stability to capture digital still imagery and video in sharp and smooth details. At ARC Aerial Imaging it further enhances our aerial imaging capturing on behalf of clients for their mapping and surveying needs by providing source imaging typically between 0.5cm/px and 3.2cm/px.